For all returns, you must contact us in advance to obtain a Return Material Authorization (RMA) form. We reserve the right to reject any returned item that does not meet our guidelines. If we reject any returned item, you will not receive a refund on such item. You are responsible for all return shipping cost, and all shipping charges are non-refundable. Returning parts that do not have prior authorization will be rejected and you will be responsible for any costs to return the products to you. We accept authorized returns up to 30 days from your delivery date. Items that are custom-made products may not be returned. This includes any products with part number add-ons different from the SKU listed in our catalog. All parts that have been authorized for return must be received within 14 days after RMA was issued. A 20% restocking fee applies to ALL parts returned unless you order a direct replacement. Refunds for all returned items may take up to 60 days to process after the returned item is received. All returns must be in original packaging, unused, in re-sellable condition. Any items that are returned without the original packaging, with the genuine manufacturer label not intact, appear to be used, or are not in re-sellable condition will be returned to customer at customer’s expense. CUSTOM MADE PRODUCTS ARE NOT RETURNABLE. Should you request that a replacement part be shipped at the time the return is requested, PLG, LLC may request, in its sole discretion, payment for the replacement part. Upon receipt of the returned item, the payment for the replacement part will be credited to you. 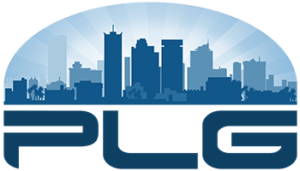 If PLG, LLC does not receive the item from you, you agree that you will be responsible for payment on both the item that was to be returned and the item that was shipped to you as a replacement.